A sequel to From Whence I Came, a book that describes Martha's experience growing up in Spencer, NC, A Book of Letters picks up the story and provides a youthful perspective of a small town girl, Martha, in the big city of Philadelphia, Pennsylvania, during one off the most pivotal eras in American history, World War II. 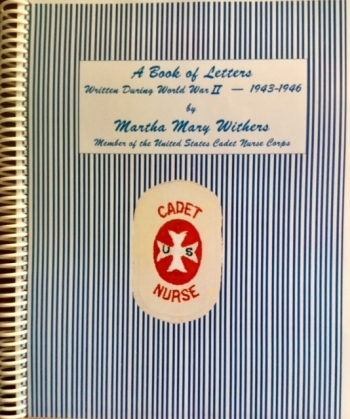 Compiled from the letters Martha wrote during her accelerated nursing training at Episcopal Hospital, A Book of Letters allows the reader to become immersed int he cultural experience of the times while enjoying the midnset and antics of teenage Martha. Life explodes for the small town girl as she discovers the Jersey Shore and Philadelphia nighlife during her time off from the rigors of nursing classes and working on the hospital ward.